Hotel victory Bijja Ltd is located along Ntuha Road in the prime area of Masindi Town, just a few meters off Centenary Bank Branch Junction. Bomah Hotel offers comfortable accommodation located in the upmarket area of Gulu, close to many amenities. 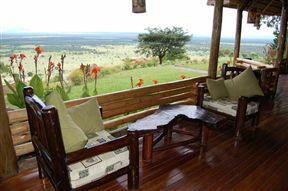 Nga&apos; Moru Wilderness Camp, Kidepo Valley National Park Best Price Promise! Nga’Moru Camp is situated on the border of the Kidepo Valley National Park, only 4 km from the Katarum Gate. 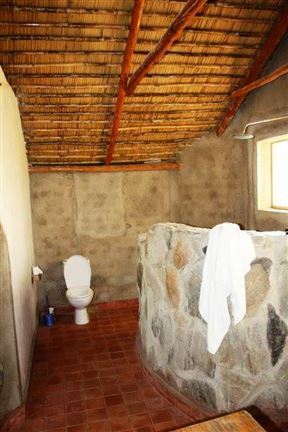 Comfortable accommodation is provided in either the Safari Tents under thatch or in our Cabanas. Katara Lodge is located on the Kichwamba Escarpment and overlooks the open Savannah of the Queen Elizabeth National Park, in South Western Uganda. Aponye Hotel is a new hotel with a touch of class, located in the heart of Uganda&apos;s central business district. We respond to the needs of every guest, whether travelling for business or pleasure. Cassia Lodge is located on Buziga Hill, which is one of the highest hills in Kampala, and it offers comfortable accommodation with beautiful views of Victoria Lake. 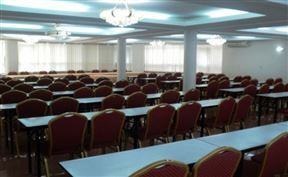 The hotel offers 20 rooms in a cool and relaxing environment. Airport Guesthouse is conveniently located close to the airport but away from the hustle of town for your first or last night in Uganda. This cosy guest house consists of 12 en-suite rooms set in a lovely garden where excellent hospitality is the order of the day. 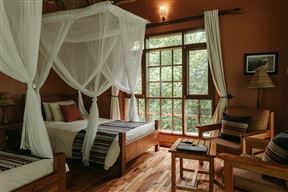 Located in the heart of Queen Elizabeth National Park and conveniently situated for wildlife viewing and Kyambura chimp tracking, Elizabeth Bush Lodge forms an excellent base for your safari. 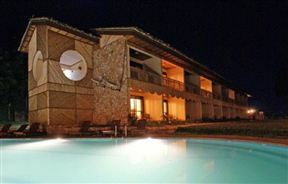 Pineapple Bay Resort, Lake Victoria (Uganda) Best Price Promise! 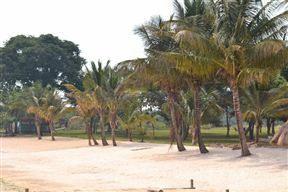 The new Pineapple Bay Resort is located on Bulago Island on Lake Victoria. The resort offers a small paradise with six luxurious chalets, and is the ideal family vacation spot or honeymoon destination. The chalets are all strategically positioned at different points along the beach.